When the Days All Tip from Nests and Fly Down Roads consists exclusively of Field Recordings made by various sound artists and myself during our residencies at MoKS in Mooste, Estonia for the Active Crossover project curated by Simon Whetham and John Grzinich. 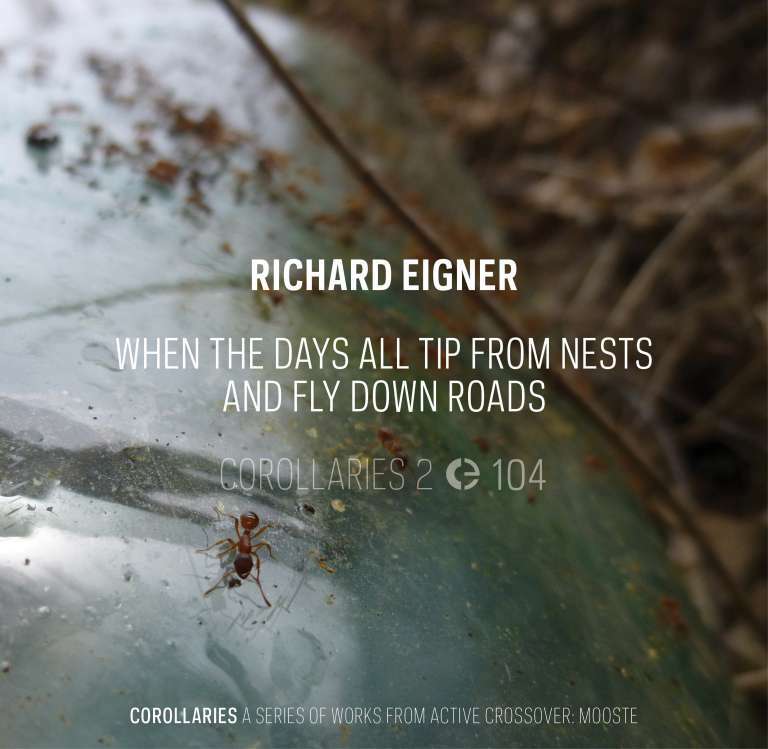 Richard Eigner is a sound artist and percussionist residing in Vienna and Linz, Austria. In his music he is crossing the borders of experimental acoustic music, minimalism and electronica with a focus on the symbiotic use of acoustic elements and electronically produced and processed sounds. Strenuous with numerous sonorous projects he is kept busy with his playful musical project Ritornell, the setup of Denoising installations or studio drumming for the likes of Patrick Wolf, Flying Lotus, Dimlite and Dorian Concept.